At Blackbaud we are committed to honoring and elevating the great work being done by our customers by sharing their impact stories. Technology is empowering corporations to maximize the impact of their giving and CSR efforts, making it increasingly important to stay informed on leading software and grantmaking solutions. 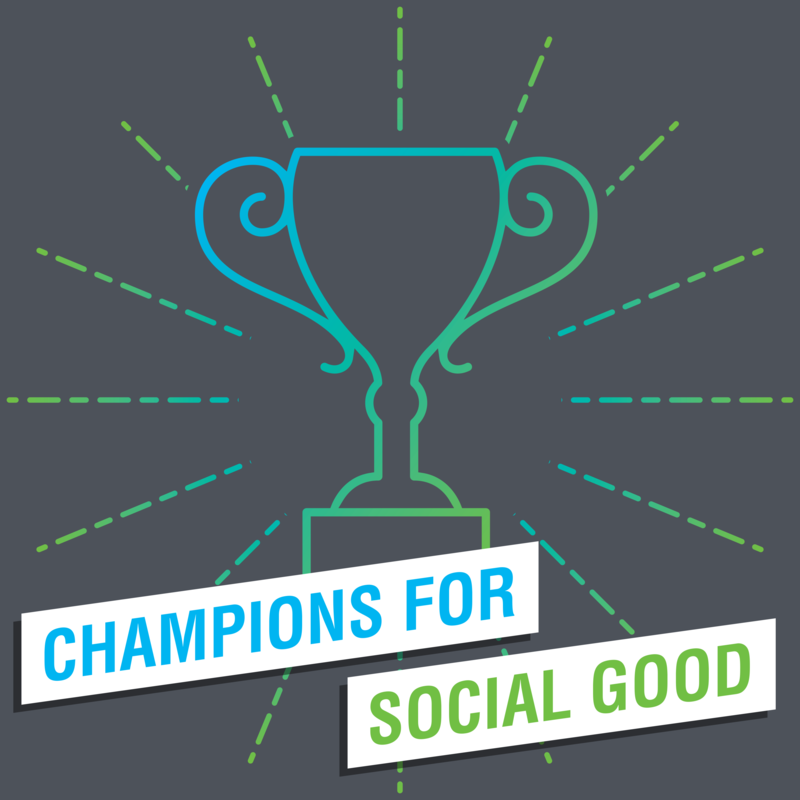 The Champions for Social Good podcast brings together thought leaders and practitioners in the social good movement to share learnings, educate and inspire change across the sector. Hosted by Rachel Hutchisson, vice president of Corporate Citizenship and Philanthropy at Blackbaud. Blackbaud Corporate Solutions is the world's leading cloud software powering corporations and corporate foundation to align profit and purpose. We provide the software, services, data intelligence and expertise that helps corporations have a great impact across their CSR programs, from corporative giving to employee engagement to cause marketing and more. For more information, visit www.blackbaud.com/corporations. Blackbaud (NASDAQ: BLKB) is the world’s leading cloud software company powering social good. Serving the entire social good community—nonprofits, foundations, corporations, education institutions, healthcare institutions and individual change agents—Blackbaud connects and empowers organizations to increase their impact through software, services, expertise, and data intelligence. The Blackbaud portfolio is tailored to the unique needs of vertical markets, with solutions for fundraising and CRM, marketing, advocacy, peer-to-peer fundraising, corporate social responsibility, school management, ticketing, grantmaking, financial management, payment processing, and analytics. Serving the industry for more than three decades, Blackbaud is headquartered in Charleston, South Carolina and has operations in the United States, Australia, Canada and the United Kingdom. For more information, visit www.blackbaud.com.